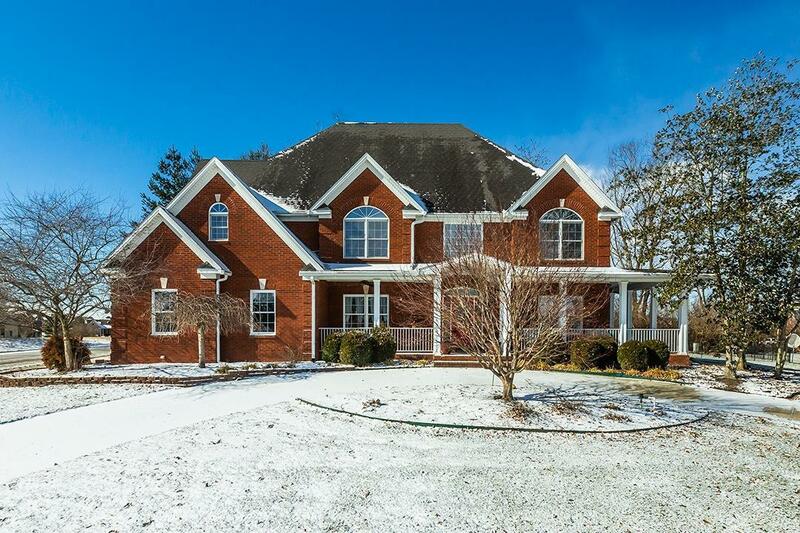 101 Golden Leaf Circle, Paris, KY 40361 (MLS #1901587) :: Sarahsold Inc. 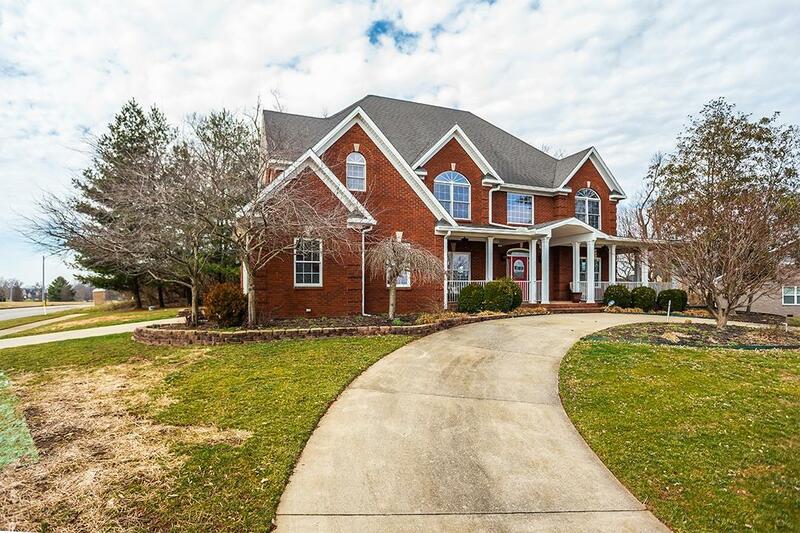 Enter the circle driveway of this stately brick home w/ southern living wrap-around front porch & rear double covered porches! Situated on a 1/2 acre lot w/ mature trees for great privacy & golf course views! 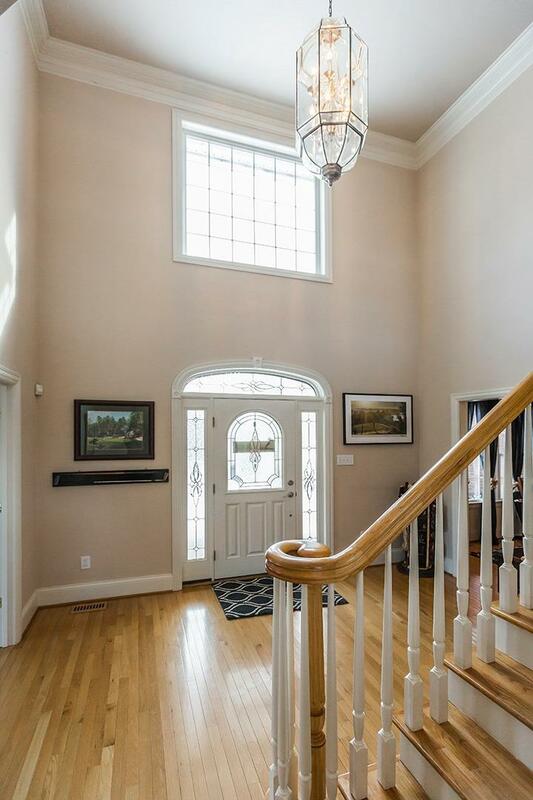 The split staircase welcomes a 2-story soaring Great Rm w/ wall of windows & gas fireplace flanked by custom built-in shelving. Open kitchen boasts beautiful natural wood cabinetry & stainless appliances. Nice sized breakfast rm & formal dining rm for entertaining ease! Much requested 1st floor bedroom w/ attached full bath! Upstairs you will find a lovely master bedroom w/ ensuite sitting area & bath, complete with a Jacuzzi tub & tiled shower. 3 additional bedrooms & Jack/Jill bath complete the 2nd. The basement w/ exterior entrance, tall ceilings & full roughed in bath is an open palette for the new owners vision! 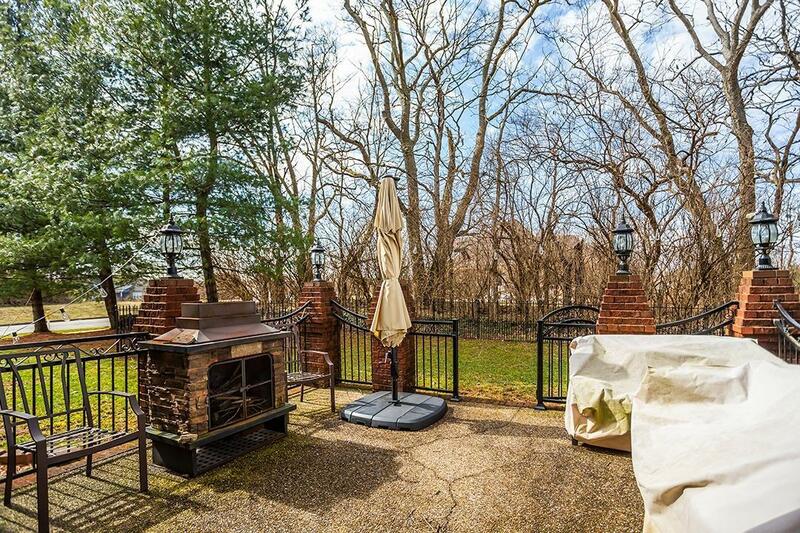 Impressive brick patio w/ brick columns & iron fencing will be a family favorite for relaxion & cookouts! 6 zone irrig., central vac & 1 yr home warranty included!